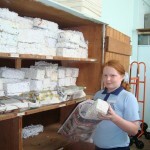 Our store of completed paper bricks. 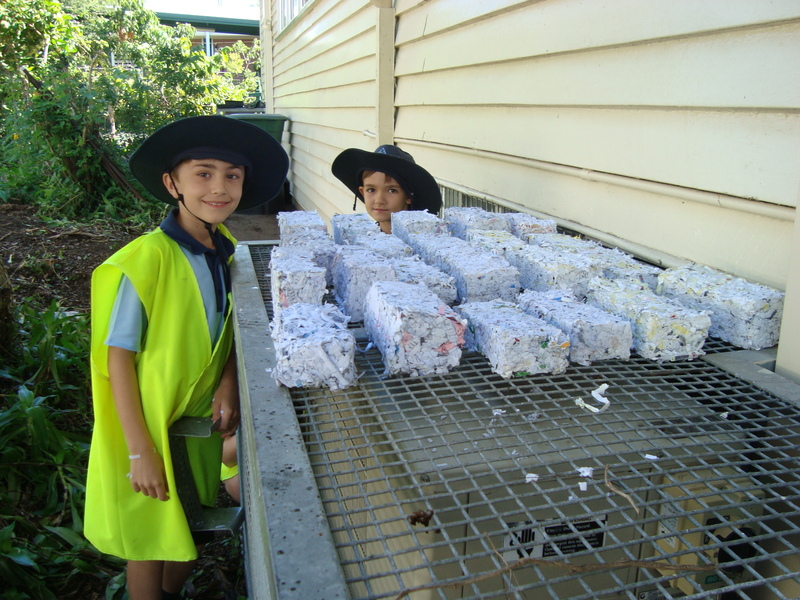 Students have been recycling paper into paper bricks. 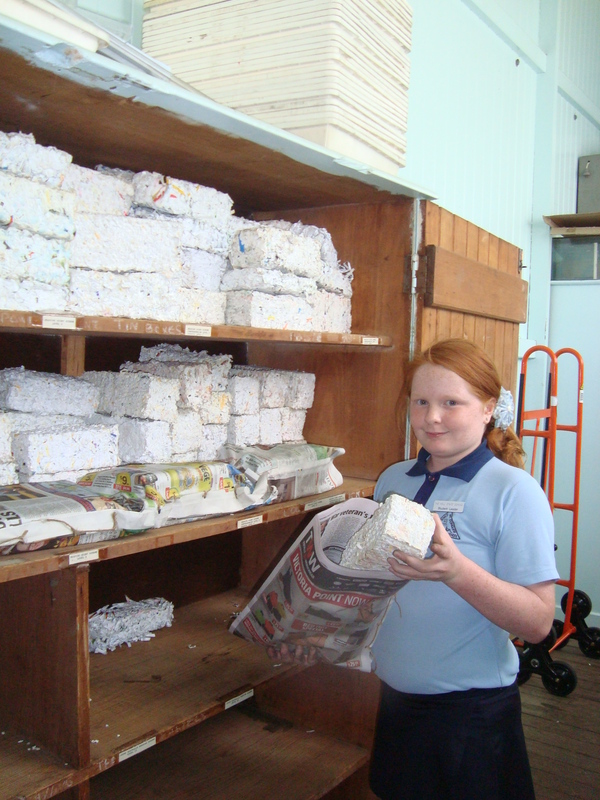 Newspaper and shredded paper are soaked for up to 2 weeks. This is then placed in an iron mould and the water is squeezed out of it. 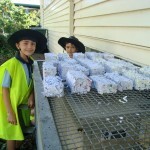 Then the bricks are left to dry. 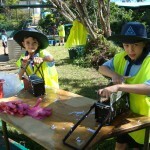 A single brick will burn for up to 2 hours and are strong enough to use for building. 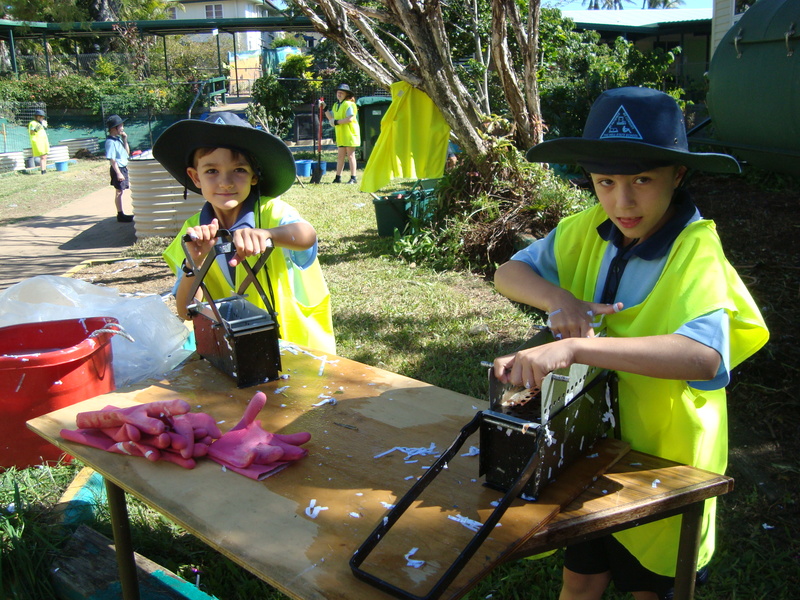 Students use iron moulds to squeeze the water out of the paper bricks.